Actor James Avery attends the world premiere of I, Robot July 7, 2004, in Los Angeles. 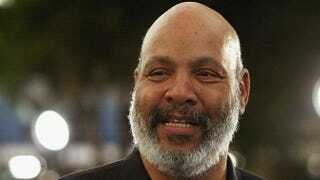 According to a report from TMZ, actor James Avery, best known for his six-season run on the hit NBC comedy The Fresh Prince of Bel-Air, died Tuesday evening, New Year’s Eve, at the age of 68 at a Los Angeles-area hospital. He appeared in numerous shows and movies during his career, including hits such as Fletch, Night Court, The Jeffersons, Soul Food and The Brady Bunch Movie, and had an uncredited role in The Blues Brothers. But it was his role as The Fresh Prince’s outwardly stern but ultimately lovable Judge Philip Banks—aka Uncle Phil—for which he’ll best be remembered. Avery, an Atlantic City, N.J., native and a U.S. Navy Vietnam War veteran, is survived by his wife, Barbara Avery.